This whimsical design coordinates with the Jolly Christmas Trees Collection. Bags are made of 3 mil HDPE with 6 mil soft loop handles and have cardboard bottom inserts to add stability. Striped green and red with fun polka dots makes it great to use everyday as well! 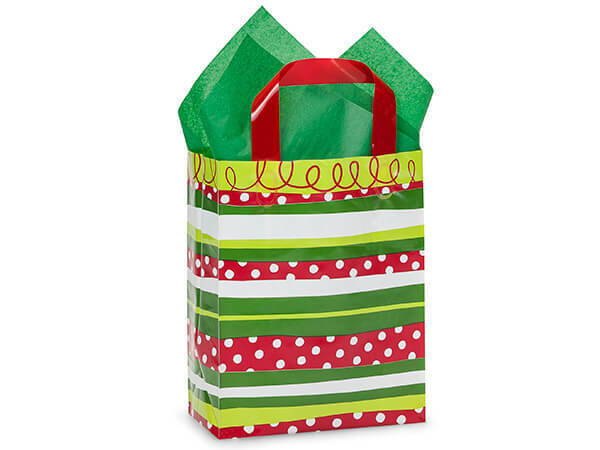 Shop Nashville Wraps for exclusive Christmas Gift Bags for holiday gift wrapping!